Force Friday II is almost upon us! What is it? A three day celebration of the upcoming film, Star Wars: The Last Jedi, and the entire Star Wars universe, which includes a ton of new release toys, books, clothes, memorabilia, and more. What’s the II about? The first Force Friday took place in 2015 with the premiere of The Force Awakens. When is it? Force Friday II begins on Friday, September 1 at 12:01 a.m. and lasts all weekend long. Where are the deals? Online and in stores! What businesses are participating? Hot Topic, Target, ThinkGeek, HerUniverse.com, Build-A-Bear, Best Buy, BoxLunch.com, Toys R Us, Walmart, Petco, Kohl’s, Hallmark Gold Crown, and many more! Find the complete list here. And if you’re not doing a happy dance to the Cantina band in your head yet, this video will do the trick. Thank you, Target, for encouraging us to “Bring Your Rey Game” (& for the awesome Sia soundtrack!). How does it work? After downloading the Star Wars app, visit a participating location (there are 20,000 worldwide, so there are bound to be a couple you can visit! ), find the Star Wars poster or signage, and scan the Find the Force logo using your app. And then, just like a transporter in action (wait that’s the wrong Star-filled saga), an interactive character or object will appear in the room with you, right on your screen! Having trouble picturing it? Think of Pokémon GO. When you spot a Pokémon out in the wild, it appears on your screen, and if your camera is turned on, it shows your true surroundings with the Pokémon right there with you. So, once the Find the Force logo is scanned and activated, all that’s left is a photo or selfie to share with your friends (or just collect them for bragging rights). Stop by other participating locations to unlock new characters, or revisit the same location each day to access new characters daily. Try out the app and scan the image below for a sneak peek. Planning out your entire weekend? StarWars.com offers 8 tips to have a most impressive Force Friday II. 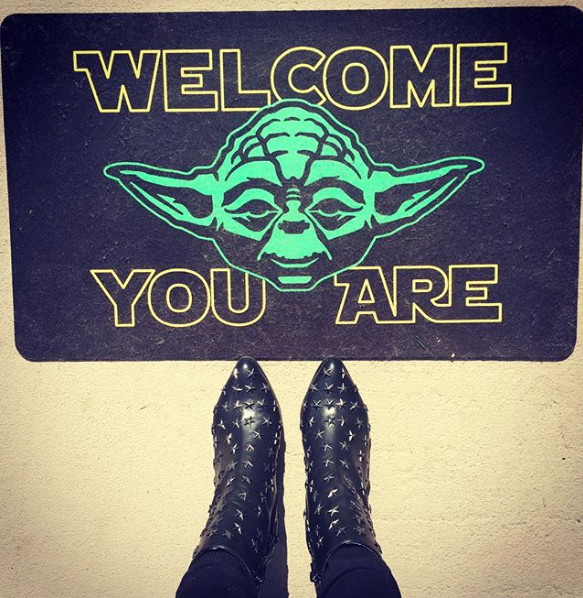 Love Star Wars and all things #GeekChic? 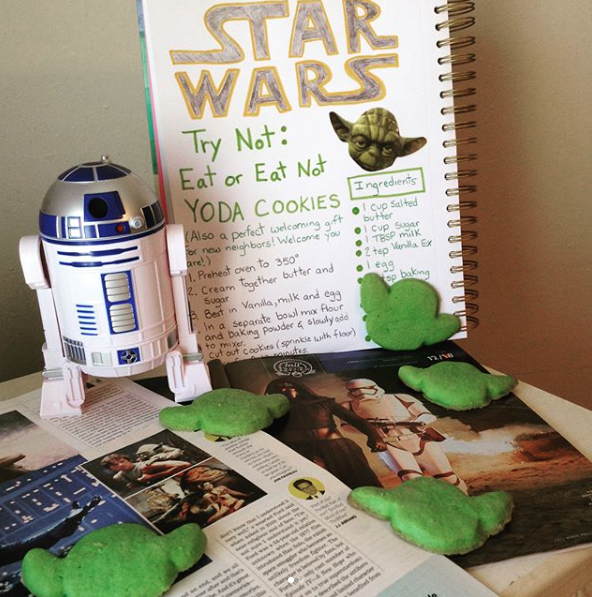 I asked some of my fellow female Star Wars fans (& Instagram friends) how they plan to celebrate the galactic weekend. Make sure to check out their blogs and social accounts, and show them some love! You won’t be disappointed. Saying that they are awesome is an understatement. 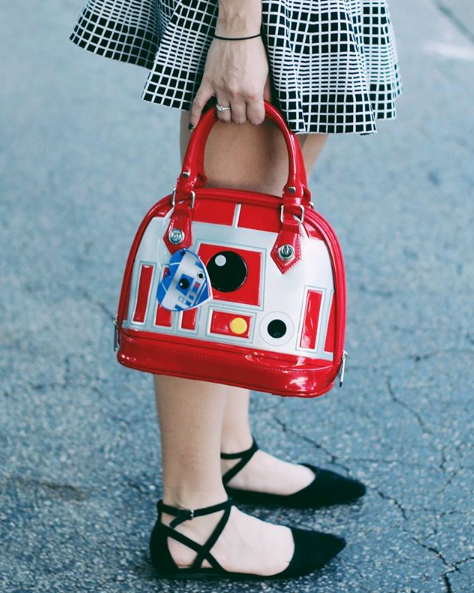 Looking for adorable Star Wars-inspired fashion? Look no further than Jenmarie of Anakin and His Angel. And for her, Force Friday II is a family affair! What is she most looking forward to on FF II? Find out below. 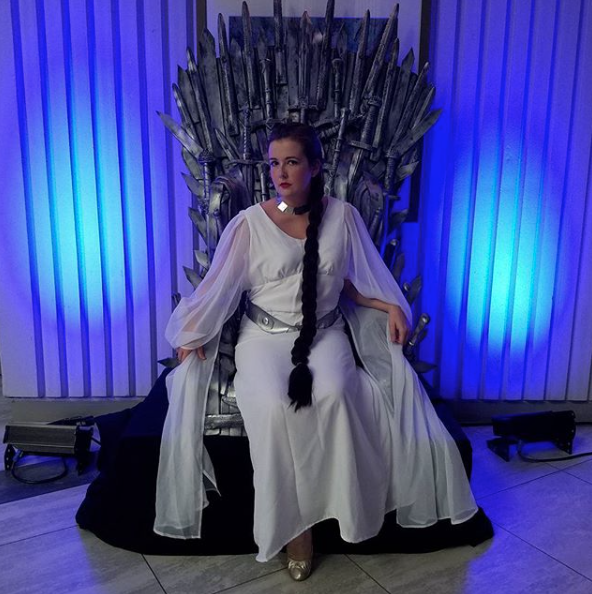 Lover of video games, photography, and all things #geekchic, Nabi has an incredibly fun Instagram (@OneTinyDinosaur) and visual diary on her blog. And of course, one of her preferred fandoms is Star Wars, duh! How is she planning to celebrate Force Friday II? Nabi will be heading to her favorite geek shop, Box Lunch, to score some Force Friday II deals, scope out the new SW toys (of course! ), and check out the new apparel. 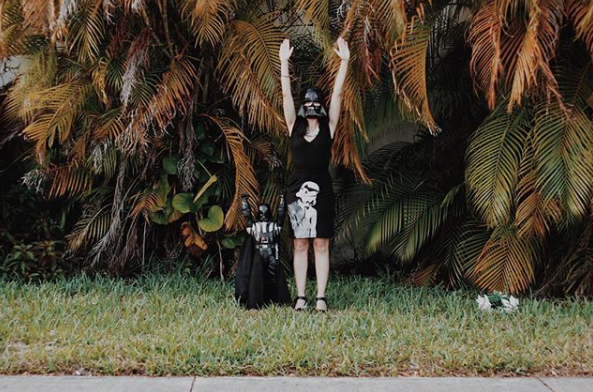 From Darth Vader masks to galactic dresses, dressing up in Star Wars-style is a no brainer! 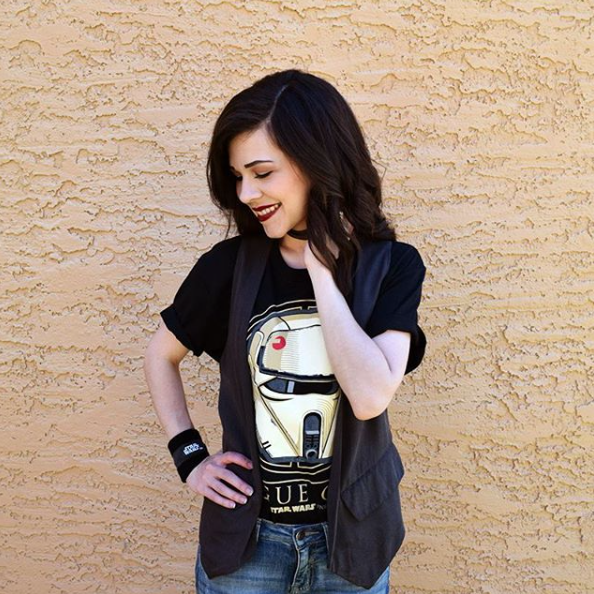 Creator of epic Star Wars pins, contributor to Star Wars blog Eleven-Thirty Eight, and inspiring Star Wars cosplay – Sarah does it all with epic Star Wars style! 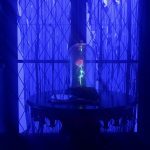 How will she be spending FF II? 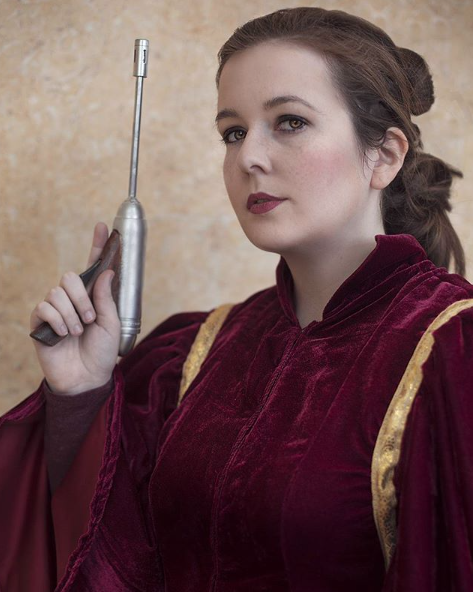 Sarah often celebrates her love of SW with her amazing Star Wars cosplay. 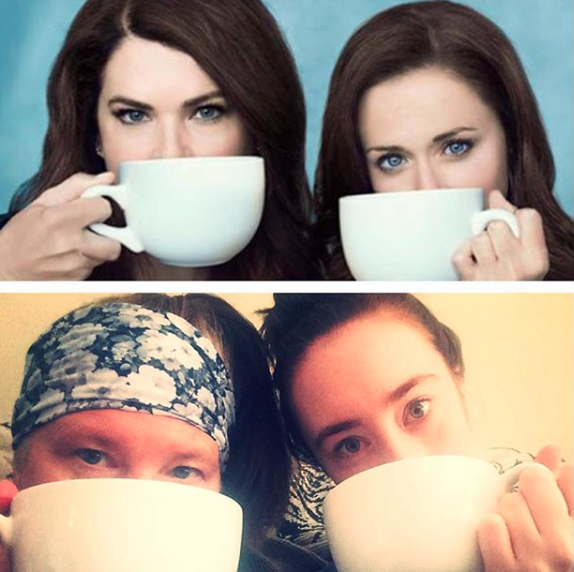 This dynamic mother-daughter duo is just like the Gilmore Girls ! (Hence their Insta name.) 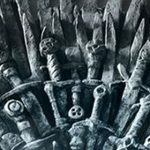 In honor of Force Friday, they will be going full Lorelai-and-Rory mode and staying up late (hopefully with tons of junk food!) with a movie marathon – Star Wars saga, of course. And at midnight on Friday? They’ll be hitting refresh on the ThinkGeek and Disney Store websites to see what new merchandise is released! 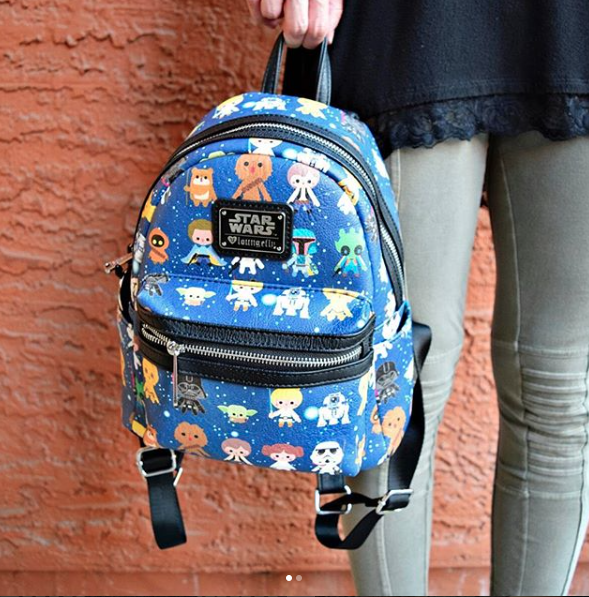 Lover of flowers, pretty paper, cats, and of course, all things Star Wars. 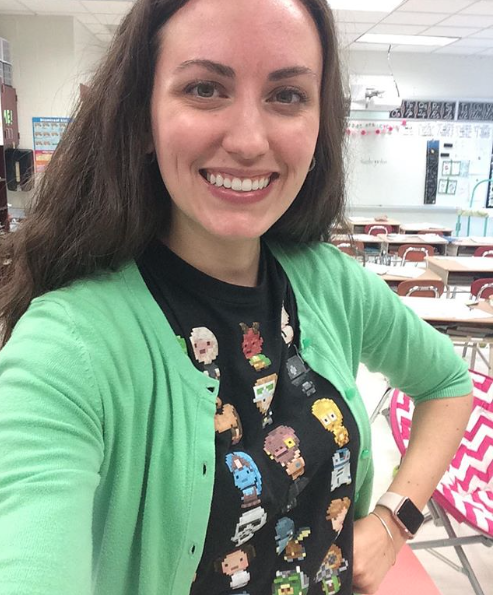 This Force Friday II, Michelle will be shaping young padawan minds in her 5th grade classroom. And after the workday is over, obviously a Star Wars movie marathon is in order! 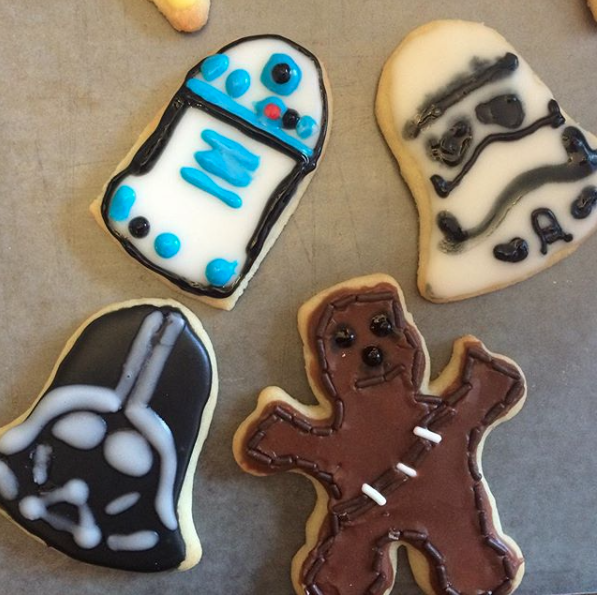 From shopping to scavenger hunts, this weekend is sure to be filled with galactic surprises that everyone can enjoy. However you plan to celebrate, May the force Be With You! Me either! 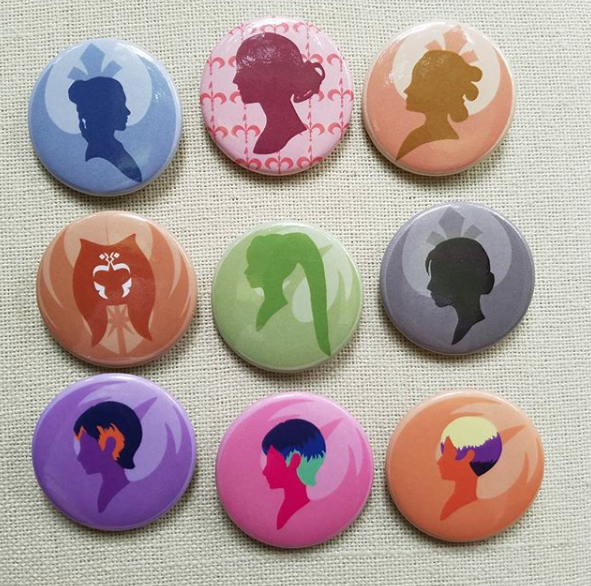 I’ve been dying to get some new SW gear, so I’m using this weekend as my excuse! & these accounts are all awesome – you’ll love them! Force Friday is great, I have never participated though. Maybe I should this year. Thanks! And I agree! Force Friday AND the return to Hogwarts?! I can’t take anymore. 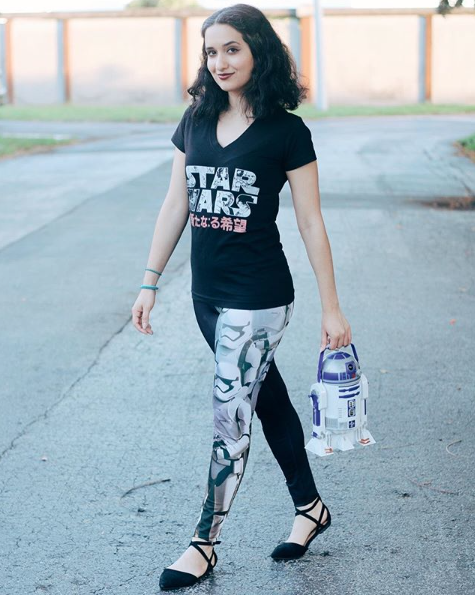 I love all of the star wars fashion! As a big Disney person I’ve been hearing a lot about Force Friday II today! So much buzz! I love it all! My husband is super into Star Wars so he would love this haha. 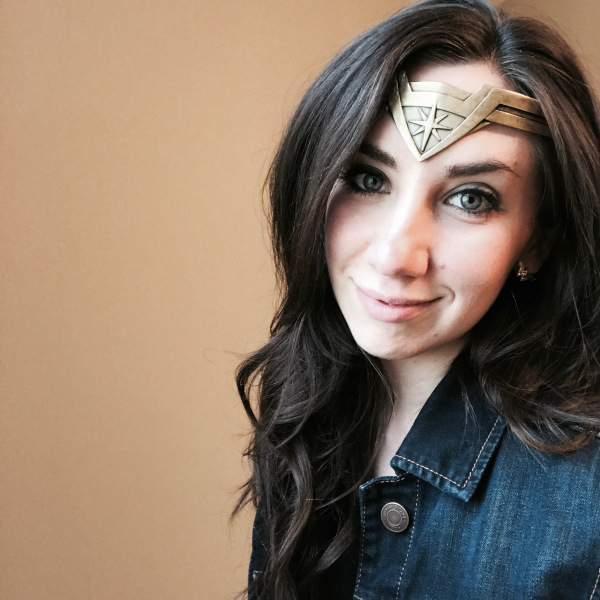 We are so excited for this upcoming movie & recently had a marathon to get ready for it! We got to enjoy Star Wars at the Rangers baseball game last night and it was so fun! I loved getting to see all these fellow Star Wars fans! That’s awesome! I need to plan a marathon before the new one comes out!